Comfortably cross Uzbekistan by private train. 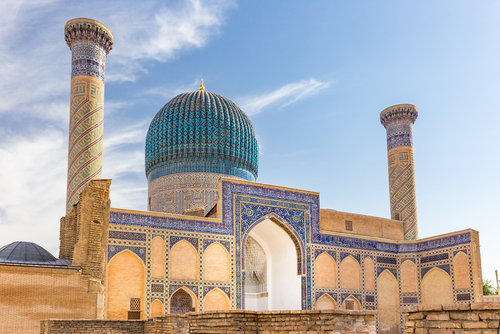 Visit the most significant, historic and fascinating cities along the Central Asian Silk Road—Tashkent, Samarkand, Khiva and Bukhara. Choose from four comfortable cabin types: Habibi, Ali Baba, Aladdin and Kalif, with Kalif being the most luxurious with private en suite facilities in each cabin. Tashkent, the capital of Uzbekistan, is the largest city in Central Asia. The first mention of Tashkent dates from the 7th century A.D., although it was probably founded by the 1st century B.C. It is located in an oasis near the Chirchik River in a fertile cotton- and fruit-growing region. Tashkent is a very attractive city. The roots of the rich Uzbek culture shine through the city’s architecture, museums and vibrant cultural life. Situated in the middle of the Kyzyl Kum desert, Bukhara features about one thousand monuments, which recall the halcyon days of the Great Silk Road. Foreign spices, furs and especially silk fabrics were stored and handled in the caravansaries. The old city is an UNESCO World Culture Heritage Site which features stunning Kaljan Minaret and the Labi-Hauz Ensemble. 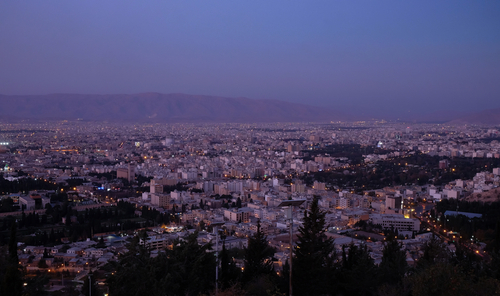 Head to Shiraz, the city of poets, and the lush greenery of a UNESCO World Heritage site: the Persian paradise gardens. Stroll past ornamental pools and date palms at the famous Eram Garden, or visit another of the several historic gardens, all offering their unique flavor of paradise. The Karakum desert is Central Asia’s hottest desert. Despite its temperatures and scarce vegetation its home to a few yurt villages. Desert's Darvaza Gas Craters, one of which is burning, is one of Turkmenistan’s most unusual sights. Khiva, the pearl of eastern middle age architecture, lies 25 kilometers south of present-day Urgench. 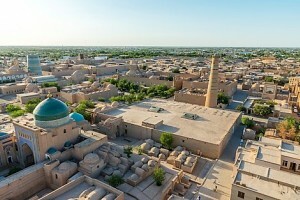 According to the legends Khiva was founded by a son of Noah, Shem when he dug a well in the middle of the desert. 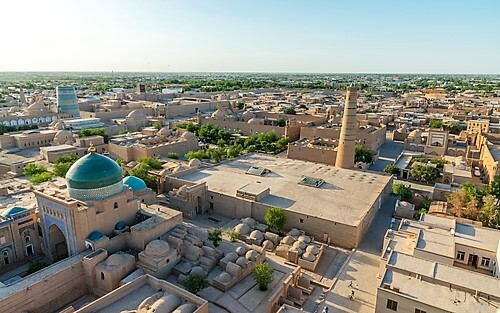 According to the archeologists Khiva was founded in the 5th or 4th centuries B.C. and was a key trading post on the Silk Road. The Samanid mausoleum is considered to be one of the most highly esteemed work of Central Asian architecture, and was built between 892 and 943 CE as the resting-place of Ismail Samani - a powerful and influential amir of the Samanid dynasty, one of the last native Persian dynasties that ruled in Central Asia in the 9th and 10th centuries. The mausoleum also houses the remains of his father Ahmed and nephew Nasr, as well as the remains of other members of the Samanid dynasty. 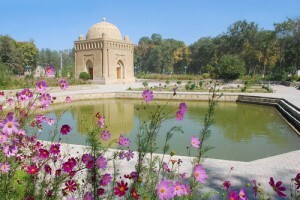 Tashkent—once an ancient oasis, now a bustling metropolis. So much to explore, but for now you relax in your first-class hotel. 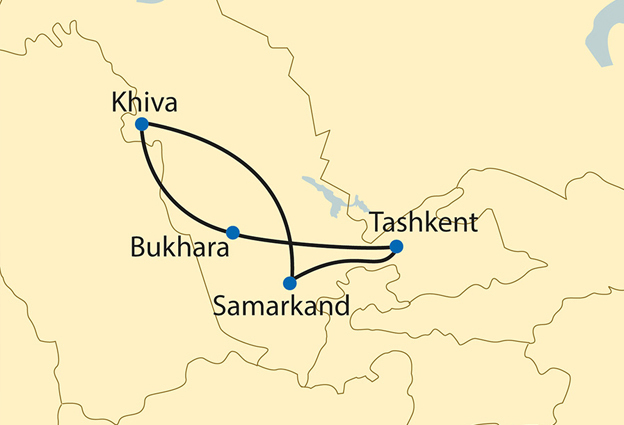 Tomorrow you board your private train, the Orient Silk Road Express. Overnight: Hotel Grand Mir (or similar). 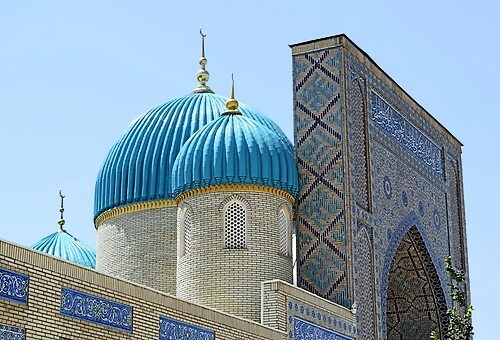 Under immense blue skies, you tour vibrant Tashkent, seeing the city’s monumental architecture, including the Kukeldash Madrasa and the Amir Timur monuments. You witness history in earthen brick and turquoise tile. Caravanserai, fortresses, museums and madrasas—rising from the desert. In the cool air of dusk, you take a trip to a music hall and enjoy a traditional performance (depending on schedule). Later, amid the pillars and chandeliers of Tashkent station, you board your private train, which takes you to your first stop on the Silk Road, Shahrisabz. Overnight: On board. Meal included: Breakfast, Lunch, Dinner. 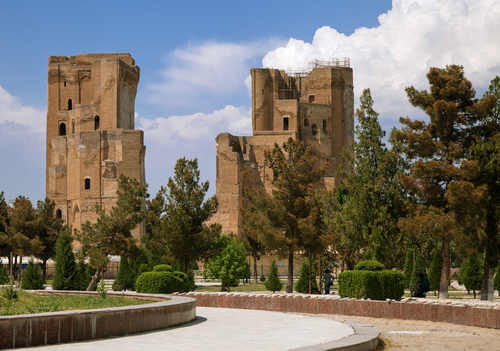 Today, you explore Shahrisabz, a UNESCO World Heritage Site and birthplace of Timur, the fourteenth-century Mongol conqueror who filled this once mighty city with amazing testaments to his power. The ruins of his palaces surround you in the city’s bustling market. You experience a folk performance and meet some locals in a nearby village. Before night falls, you depart on your private train, joining fellow travelers for an Uzbek wine tasting in the dining car. Overnight: On board. Meal included: Breakfast, Lunch, Dinner. Wealth, conquest and faith intertwine among the splendors of Samarkand, one of the oldest settlements on Earth. In Timur’s time, it was known as the most beautiful city in the world. Today, as you stand among the ornate marble pillars and vaults of Registan Square and the exquisite glazed tiles of the Shah-i-Zinda necropolis, it’s impossible to suppress your sense of wonder. At the Afrasiyab excavation site, you visit a museum where you learn about the ancient history of this astonishing place. 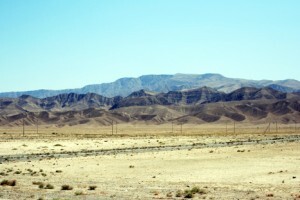 It is also the site where many Uzbek women burned their veils (paranjas) in 1917 to signal their arrival in a new era. Overnight: Registan Plaza (or similar). Meal included: Breakfast, Lunch, Dinner. Today you observe Uzbek craftsmen skillfully weave silk into carpets and press paper from mulberry bark. Later you view the stunning Ulugh Beg Observatory, the restored ruins of Bibi-Khanym Mosque and the inside of the palatial Gur-e-Emir mausoleum. Overnight: Registan Plaza (or similar). Meal included: Breakfast, Lunch, Dinner. 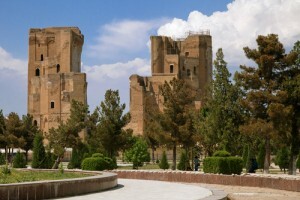 Today you have a free day to discover Samarkand on your own. Your train departs for Khiva in the late afternoon. Overnight: On board. Meal included: Breakfast, Dinner. 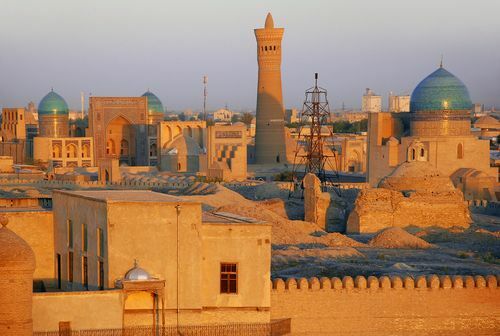 In the morning you arrive in the oasis of Khiva, a city straight out of a tale from the Thousand and One Nights. Standing at the mighty town walls with their gates and bastions of mud brick, you feel transported into another world. 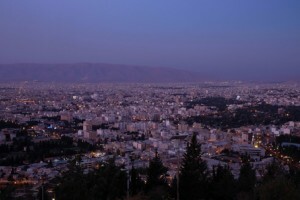 In the afternoon you visit the Kunya Ark Citadel and the Kalta Minor and Islam Hodha Minarets. Dinner is served in a traditional restaurant. Overnight: Asia Khiva (or similar). Meal included: Breakfast, Dinner. On your tour of this oasis, you have many chances to take in its exotic atmosphere. Its palaces, mosques, minarets, mausoleums and madrasas (Muslim religious schools) represent one of the best preserved ensembles of medieval urban architecture in the world. You enjoy lunch in a former emir’s summer palace. Overnight: On board. Meal included: Breakfast, Lunch, Dinner. Beneath the imposing yellow brickwork of the Kalyan Minaret, you gaze at the magnificent city gates, each built with intricate mosaics. This is your first glimpse of Bukhara’s historic center, a UNESCO World Heritage Site which is home to a thousand monuments, each a testimony to the glory days of legendary Silk Road. At the Lyab-i Hauz architectural ensemble, you discover the 500-year-old technology that keeps a pool from evaporating in the heat of the Kyzylkum Desert. 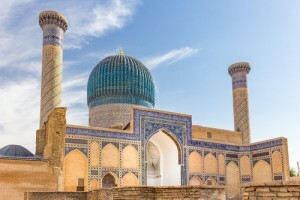 You hear about the life of Sufi poet Nasreddin Hodja, watch local dances replete with national costumes, and listen to stirring Uzbek music in the courtyard of a madrasa. Overnight: Asia Bukhara (or similar). Meal included: Breakfast, Lunch, Dinner. Today is another glorious desert day devoted to the numerous sites of Bukhara. You view the sumptuous stylings of the Mir-i-Arab Madrasa; the historic design of the Samanid Mausoleum, one of the most important structures in Central Asia; the immense 1,500-year-old Ark of Bukhara; and a unique women’s mosque. Standing on the ramparts of the ancient city walls, you enjoy stunning panoramic views of Bukhara, its turquoise and yellow buildings glimmering in the bright afternoon light. Overnight: Asia Bukhara (or similar). Meal included: Breakfast, Lunch, Dinner. On your last morning in Bukhara, you enjoy breakfast and have the chance to explore the city one last time. Around noon you board your private train and watch the spectacular green hills, ancient rock formations and distant mountains of the Central Asian steppe pass by your window. By afternoon you’ve arrived in Tashkent. Overnight: Grand Mir Hotel (or similar). Meal included: Breakfast, Lunch, Dinner. After breakfast, your private airport shuttle picks you up from your hotel. On the way you reflect on your 12 days on the legendary Silk Road, where ancient civilizations rose and fell; silk and spice were traded across continents; all made unforgettable by the romance of rail travel—a journey that leaves you with memories of a lifetime. Meal included: Breakfast. 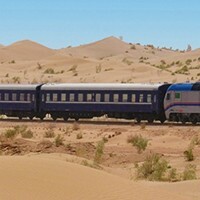 The private Orient Silk Road Express is designed to provide you with a comfortable experience as you embark on the adventure of a lifetime and offers a range of cabins to suit every budget. Enjoy dining in the charming restaurant carriages where you are able to try the freshest local cuisine and relax with fellow passengers. Also, take the time to get involved in several lectures on board the train where you can learn about the history, people and cultures of the countries you travel through. This compartment has sleeping berths (26.4 × 72.4 in /67 × 184cm) for up to four guests. A table near the window separates lower and upper berths on either side. Each car has nine compartments, with washroom facilities at both ends. This compartment has two lower berths (27.5 × 74.8 in/67 × 184 cm each), as well as a table and additional storage space. Each car has nine compartments, with washroom facilities at both ends. This category features two lower beds (27.5 × 74.8 in/67 × 184 cm each), a small table and storage space. Each car has eight compartments and a shower, together with washroom facilities at both ends. Guests in this category also receive one bathrobe per compartment. The Orient Silk Road Express’ grandest accommodation. The Kalif category features two beds, upper and lower (31.6 × 68.5 in/80 × 174 cm and 44 × 72.4 in/112 × 184 cm). Each compartment includes a closet, safe and private bathroom with a separate shower cabin. Each car in this category is limited to four compartments and a maximum of just eight guests. Would you like to add extra night in Tashkent? Would you like to add extra excursions? How did you find IntoRussia?